Big enough now to sit in the old wooden high chair for a few minutes to capture this photo for posterity! It would be awesome to see a photo of her great-great-great grandfather sitting in his high chair as a baby–but as far as the family knows, those photos were never taken. We can only imagine little Oliver! She got kinda flirty and gave me some eyelash love. Butterfly kisses. Gotta love that and her always-wiggly little toes too! 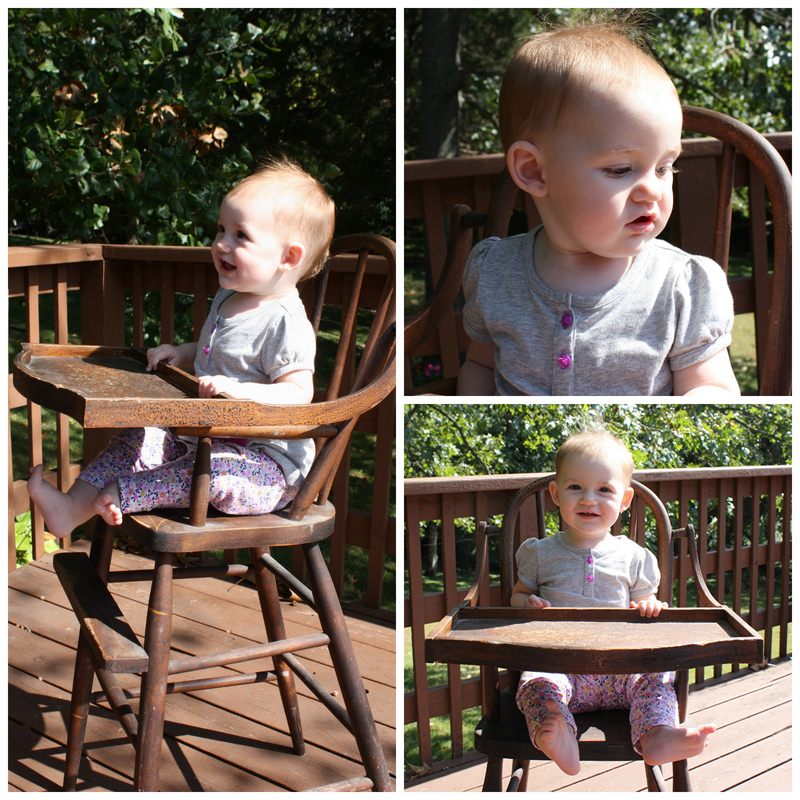 This entry was posted in Antique Furniture, Autumn, babies, Families, Family Heritage, Family Memories, lifestyle photography and tagged antique high chair, Autumn, babies, baby girl, casual photos, child's play, family heritage, family memories, ten months, wiggly toes. Bookmark the permalink.